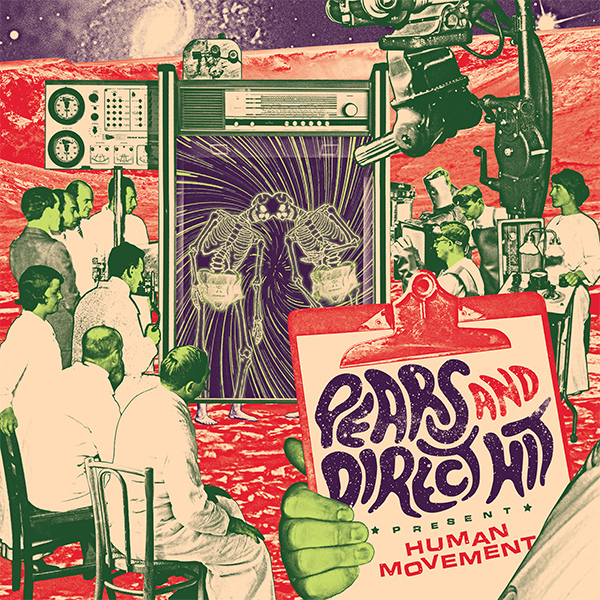 Skatepunkers: PEARS and Direct Hit announce split "Human Movement"
PEARS and Direct Hit announce split "Human Movement"
US punk rock label Fat Wreck Chords will be releasing "Human Movement", a split album from PEARS and Direct Hit that will be out on November 3rd. This 12 track split features five new songs from each band, plus one cover of their counterpart's material. Check below the songs "Arduous Angel" by PEARS and "Blood On Your Tongue" by Direct Hit off this new split. Nick Woods: "We’re really proud of how this record turned out, not only because all the tunes on it are rippers, but because we got to collaborate on it with some of our best friends. Splits like these rarely work with everyone involved playing to the others’ strengths. I’m really glad the stars aligned here in a way where the whole thing came together as a unified release, from one of the coolest record labels in the biz right now." Brian Pretus: "We’ve been talking about doing this for a long time, since like one of our first tours, which was with Direct Hit. It’s pretty surreal that we finally got to make it happen, and I couldnt be happier with how both sides of this thing turned out."